Dave Lively joined Vocera in January 2019 and is the Vice President of Product Management. In this role, Mr. Lively is responsible for defining, championing and executing the company’s product strategy and roadmap. He manages decisions about new products, prioritizes development activities for existing product lines, and determines strategic investments regarding complementary technologies. Mr. Lively also leads product management efforts to garner customer feedback and orchestrate activities of the global product development teams to deliver breakthrough solutions for key growth markets. 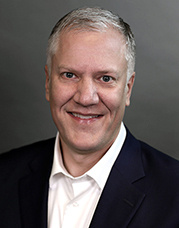 Prior to joining Vocera, Mr. Lively was the Vice President of Product Management at Syniverse, a leading mobile services provider that connects thousands of businesses and mobile operators and provides reach and connectivity to over 7 billion mobile devices globally. In this role at Syniverse, Mr. Lively was responsible for the company’s messaging services and led the company’s efforts to build out their API platform. Before his tenure at Syniverse, Mr. Lively worked at Cisco for more than 20 years, most recently as the Senior Director of product management for Cisco’s Intercloud Services. Over his tenure he managed several $100M+ product lines with the majority being cloud and software-based solutions. He also held roles in sales, business development, and product marketing while at Cisco. Mr. Lively earned a bachelor’s degree in Computer Engineering from Virginia Tech.